African Heritage has several quality mountain bikes for rent for bike rides on the plateau or for day trips to Lake Chilwa, Chikala Pillars or other heritage sites. We will be happy to provide you with a map or a guide. 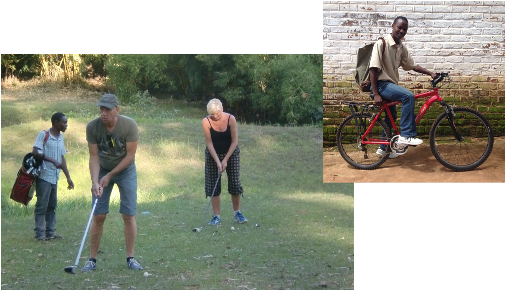 Other sports equipment available for rent are: golf kits, tennis and squash rackets for use at the Zomba Gymkhana Club.